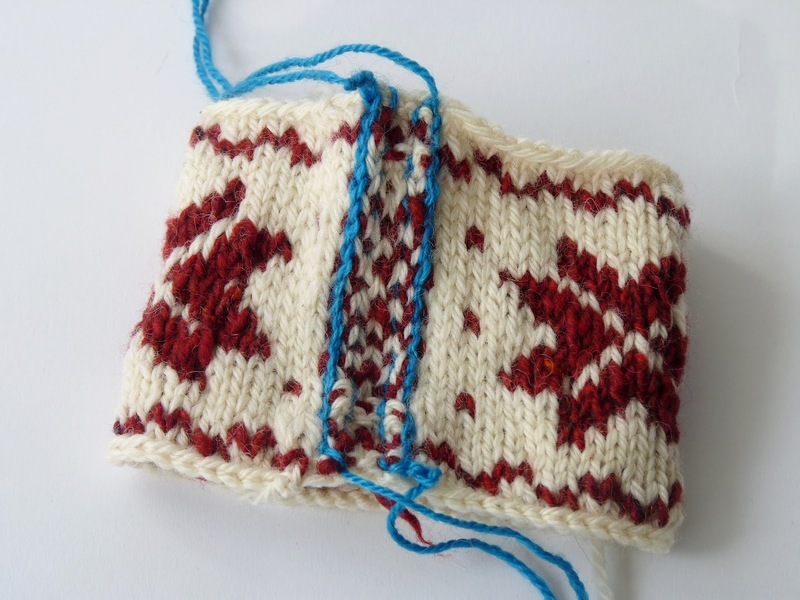 I love Fair Isle knitting; I always have enjoyed the interplay of colours. But I love it even more now that I have learned two key tips that have really finessed my projects. First of all, it’s okay to float more than 3 stitches in fact I float up to 9 or 10 and, counter intuitively, my tension is so much more even. With some yarns you might catch the floats but a good old Shetland yarn isn’t a problem. I recently finished Kate Davies’ Rams and Yowes and long floats have made the back as exciting as the front – you can really see the pattern. Then I learned to steek thanks to a Masterclass in The Knitter and various tutorials on You Tube. I was very nervous at first but reasoned that the knitting wouldn’t go anywhere as long as I had anchored it properly as I had learned. I designed some mug cosies for myself so I could practise the technique before cutting a larger piece and potentially having a disaster. 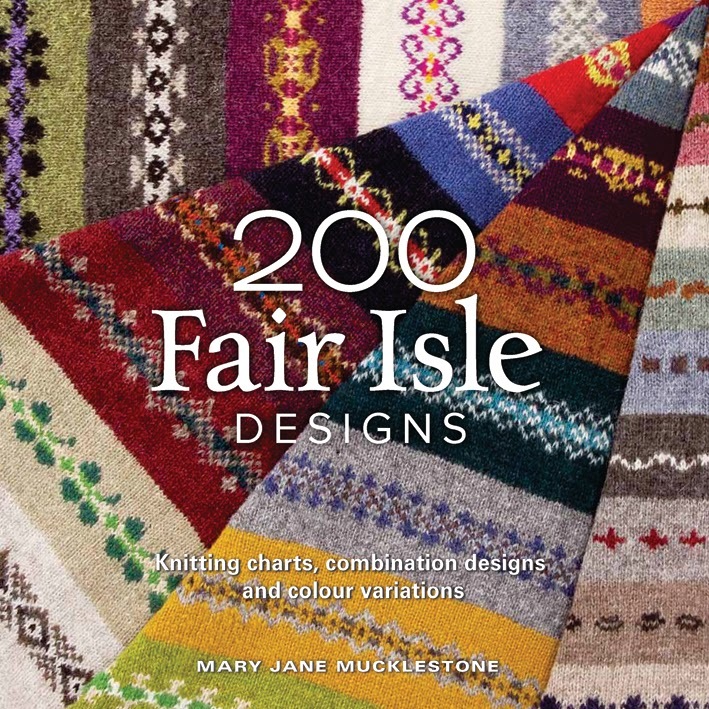 As exciting as learning these two things were, nothing can compare to the book I have just finished by Mary Jane Mucklestone – 200 Fair Isle Designs. You may know Mary Jane from Ravelry or Twist Collective where you can find her beautiful designs. 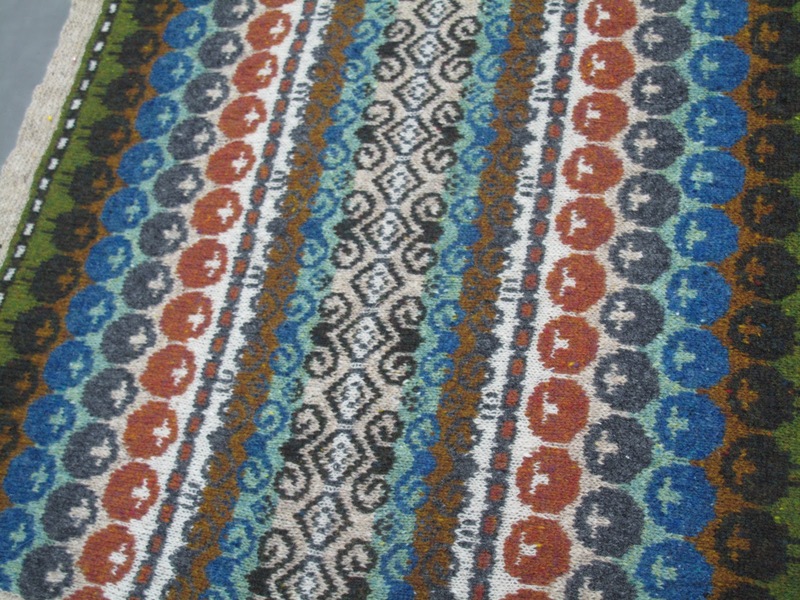 The book is mainly a directory of Fair Isle designs but it gives an interesting account of some of the history and the different techniques used as well as exploring how to put colours together in your own Fair Isle. How many times have you wanted to re-colour a design but not known where to start or had the confidence to play with colour? Mary Jane takes you through harmonious colour choices and helps you to understand how colours balance each other. For me what really sets this book apart is the directory itself. 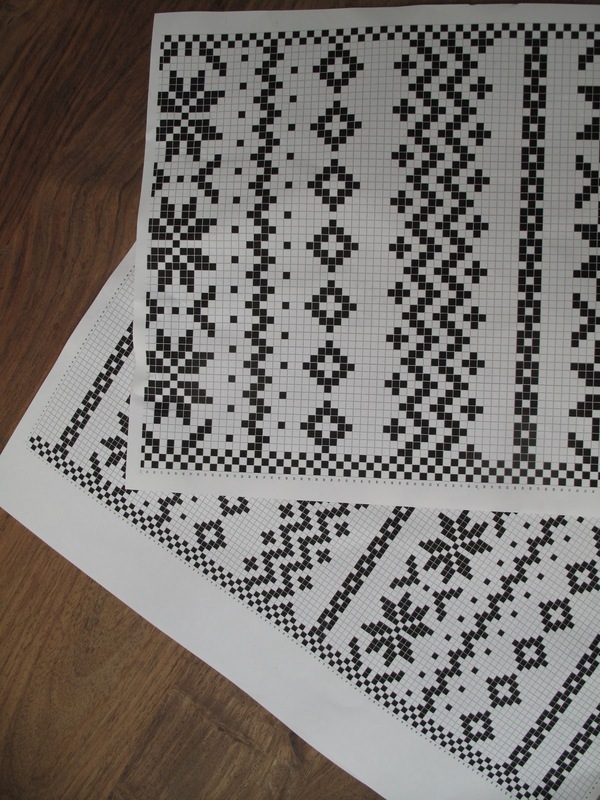 Each design is shown both as a chart (in colour with different colourways, or black and white) and as a knitted sample. The latter isn’t just a few stitches to “give you an idea’ but is a glorious, wide strip so you can really get a sense of how the pattern and colours work. Mary Jane has so inspired me that I can’t wait to design a new hat for my husband or put together some of these patterns in a cowl. As you can see I have already started playing. If you would like to get your hands on a copy of this wonderful book Search Press has kindly offered us a special discount of £2 off the retail price of £14.99 with free P&P. All you need to do is call 01892 510850 mentioning this blog.